Taxis are available all around us, 24×7 a day but are all of them equally good and trustworthy? Probably not! Not all taxi services are worth your money or time. These days, the general quality of taxi services is going down based on factors like driver rating, customer satisfaction and condition of the vehicle etc. In such a scenario, the only brand you can trust is Dallas Limo and Black car service. We provide not just vehicles for rent but also taxis to take you to and from the place of your choice. The following are some details about our Dallas taxi service that may prove useful. Dallas Taxi service offered by us is the best solution for all your vehicle and taxi needs in town. We answer to bookings very promptly and reach you in no time at all. This means that in case of taxi emergencies, you can always think of us and reach your desired destination on time. You can contact us through phone, email or chat etc. Another thing which you should probably know about our taxi service is that it is quite easy on the pocket. As compared to some other taxi service providers in town, our rates are pretty competitive and don’t let you think twice before you make the booking. All you need to do is to pay after your ride is over. You’ll be surprised at how low the prices really are. 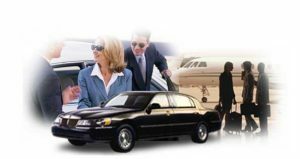 Dallas Limo and Black car service is known for one thing and that is that it has all trained and certified drivers and chauffeurs which provide excellent service and enable you to enjoy the ride. They are all courteous, polite and trustworthy. These days, given the number of taxi crimes, you should definitely choose our taxi service to be on the safe side. One reason why you choose taxi over bus and train etc is because of the comfort of the vehicle. But whats the point if the vehicle itself is not in good condition? Well we provide all taxi vehicles which are in excellent condition and won’t make you feel any regret on choosing this service. Now that you know the various details about our taxi service, you too must opt for it the next time you need a ride. 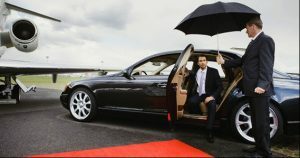 We also provide a number of other services and one of them is Limousine services in Dallas TX. So what are you waiting for? Contact us today and let us know what service you want in Dallas TX.